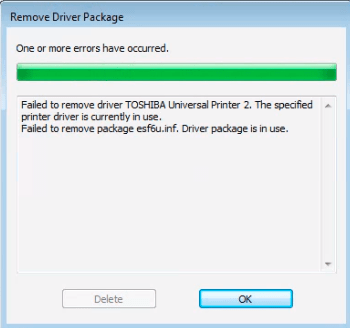 Failed to remove driver <Printer Name>. The specified printer driver is currently in use. Failed to remove package <driver.inf>. Driver package is in use. The selected driver cannot be deleted. 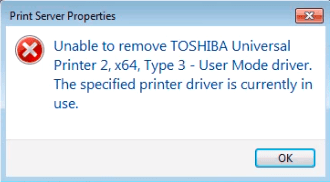 Unable to remove <Printer Name> x64, Type 3 – User Mode Driver. The specified printer driver is currently in use. The error happened despite the printer has been removed from the Windows system, and not currently in use, i.e. not printing any document, and does not have any printing jobs in the print queue. And you can’t delete the printer driver even though you restart the computer. Remove the printer from the system in Control Panel or Settings. 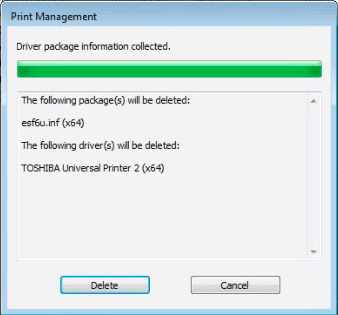 Right click on the printer driver that you want to delete, and select Remove Driver Package. DO NOT click on “Delete” yet. Open Services administrator tool in Control Panel. 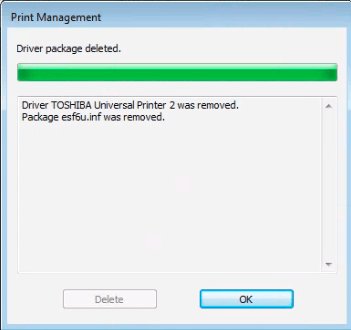 Start the Print Spooler service, and while the service is starting, immediately click on Delete button on the “Remove Driver Package” window in “Print Management”. Restart the computer if the removal of printer is successful. Otherwise, try the steps above again.